The basic form of water has landscape-architectonic quality when the geometry of the water form corresponds with, or develops from, the original water form in the natural landscape and the way it has been adapted, which results in a decipherable, potent and ‘dramatised’ landscape-architectonic design. The programme form of water has landscape-architectonic quality when the water system that has developed from the natural landscape has a recognisable, comprehensible and visible structure and form that illustrates the negotium use that corresponds with, or develops into, the otium use. The image form of water has landscape-architectonic quality when the water image elements unite to form a clear, area-specific illustration that refers to the representation of nature and the relationship between nature, culture and urbanity. The spatial form of water has landscape-architectonic quality when the water that originates from the natural landscape, and the way it has been adapted, shows an articulated visual-spatial design in a cohesive sequence, as far as the eye can see. The specific features of each boezem area are expressed in the structure and form differences of the polder-boezem system and are based on the natural landscape. The cohesion of form within a boezem area serves as the basis for further transformation. 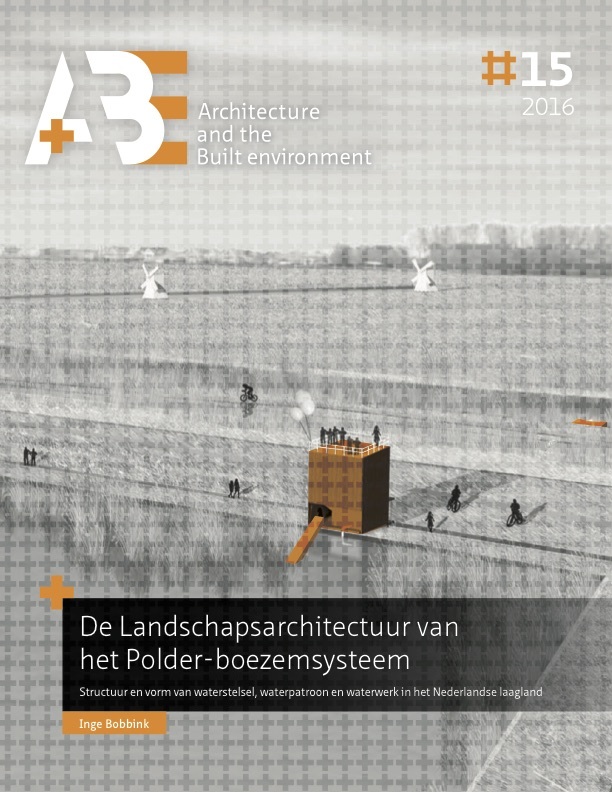 The landscape-architectonic tools are specific to a boezem landscape but provide enough information to formulate recommendations for the polderboezem system as a whole. The best way to increase the landscape-architectonic quality of the polder-boezem system is to highlight the cohesion of the water system on the scale of the entire boezem landscape. The boezem system defines the spatial character of the system. This cohesion can be reinforced in the form of a link between boezem water and polder water, specifically in the lake bed polder landscapes, by means of the realisation of the water sequence - canal, mill or pumping station, outlet and boezem. The stronger the compositional cohesion between the water sequence and the other polder water in polder or water-level area, the stronger the cohesion of the system. The waterworks set the architectonic tone in the system and belong to the crucial details of the polder-boezem system. It isessential to give attention to the design and position of the waterworks as a visible and/or perceived spatial link between the various water-level areas. The network character of the water system provides countless opportunities to integrate existing and new ecosystems, nature developments and other water management challenges into the polderboezem system. This green-blue connection could give the water system a considerable boost and help it develop into the Novel Fine Dutch Waterscape. Experimental designs show how the design instruments that were detected can be used to allow the polder-boezem system to define (or redefine) the spatial identity of the lowlands (chapter 8).